It has officially been far too long since I've typed up an entry in here. Three weeks, maybe? Yuck! I am not happy with that. School, work, and pretty much everything else going on has cluttered up my life to the point any free time is severely lacking. However, that doesn't mean I haven't been working on projects! The projects I'll be talking about today were made for one of my fellow Shutterfly Gurus, Lisa. Lisa lives down in good old Texas, that I actually got to visit recently for a work conference. I didn't get to meet up with Lisa due to the hectic schedule, but it was nice to get out of PA for a couple days and eat some Tex Mex. 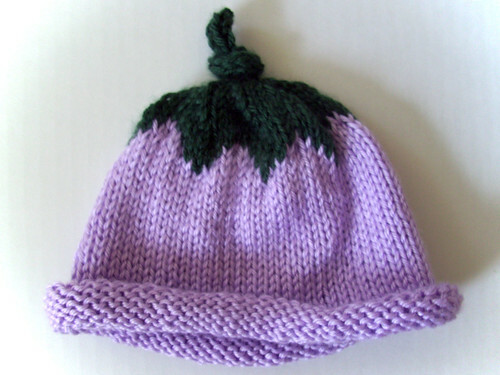 Lisa is celebrating the birth of a second granddaughter, so she asked me to make some baby hats after seeing some photos on my person Shutterfly Share site. Of course, I was more than happy to oblige! 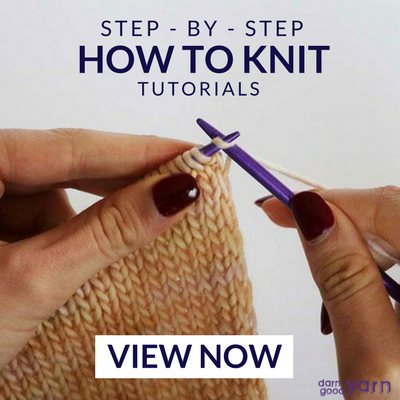 You can grab the quick and fun pattern here. 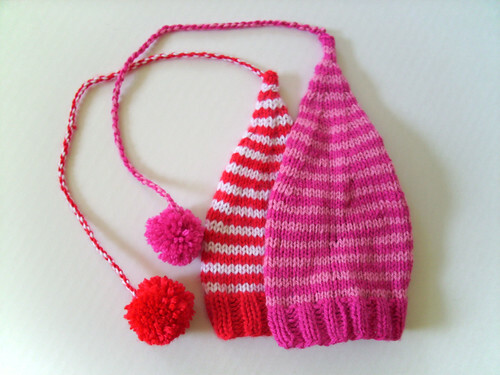 You can get the pattern for this little cutie here. 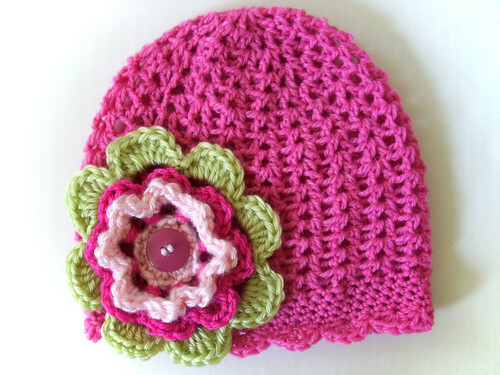 And last but not least, she asked for a pink hat especially for her older granddaughter. One with a huge flower on the side. We all know how I love to accessorize my items with flowers, so this was a great time for me. I even added a pink button to the flower for extra fun. Lisa just received the hats earlier this week and loves them - thankfully! She will doing a whole photoshoot this weekend, and I can't wait to see the results. She's a great photographer and I always love browsing through her Shutterfly galleries. And on that note, I can't tell you how thrilled I am that this weekend is finally here. It's been quite a long week trying to catch up on everything I missed at the conference in Dallas last week, and I've just been crazy exhausted. But it's totally worth it. I've also joined a fun little community called Etsypreneur, and so far I've been having lots of fun over there in the forums. If you sell on etsy, definitely check it out and friend me. AND I'm excited to say that I received my first international order a few nights ago, so I'm looking forward to making that headband and mailing it out. It really doesn't seem like a year already, but I guess that's a good thing. We're looking forward to celebrating with champagne and year-old cake on the 10th, haha. Hopefully it's lasted! I'm pretty sure my mom wrapped it like a nuclear device, so we're probably good to go. Have a great weekend, everyone! Newer PostThe craft room. She is done. BWAHAHA. 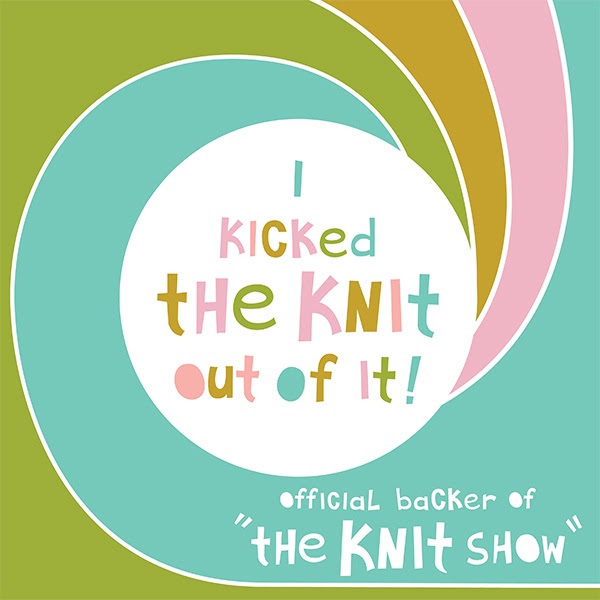 Older Post30% Off Knit Kits and What Are Your Weekend Plans?